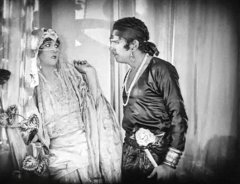 "The Thief of Bagdad" (1924) is a romantic fantasy-adventure starring Douglas Fairbanks and featuring Snitz Edwards, a star of Silent Hall of Fame. Widely ranked as the most imaginative adventure film of the silent era, thanks in no small degree to the amazing sets by William Cameron Menzies and a charismatic performance from one of the era’s greatest stars, may seem a little slow compared to later swashbucklers, but its still impressive and wholly engaging. 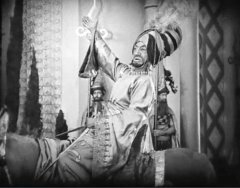 Following the Arabian fable of how a thief tries to win the heart of a princess while defeating her evil-minded suitors, this more or less became an excuse for United Artists to place their biggest star, Douglas Fairbanks, in one of the most ambitious vehicles of his career. Fortunately for all involved Raoul Walsh, with the film that made him one of the silent era’s more reliable craftsmen, was around to direct; his outrageous storytelling style makes this ancient fable almost mythic, thanks to larger than life performances and some of the era’s best special effects. How Walsh managed to create flying carpets, invisible blankets, underwater worlds, and giant dragons before the advent of sound technology is still a wonder; while his film is sure to still provoke an adventurous feeling from even modern viewers, especially with the ever dashing Doug in his prime as the thief. Never has Fairbanks been more balletic or charming than here. Over the years various remakes have been made, but Walsh’s masterpiece is still one of the finest adventure pics. The film is ranked number 26 in the list of The Top 100 Silent Era Films of the influential website Silent Era. 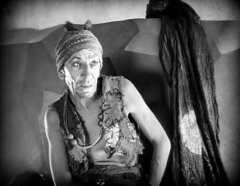 "The Thief of Bagdad" was selected for preservation in the National Film Registry as being "culturally, historically, or aesthetically significant" in 1996. The film has an excellent rating in IMDB. Snitz Edwards is the wise associate in "The Thief of Bagdad" (1924). 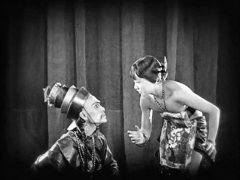 Anna May Wong finds an intruder, whose knife keeps her quiet in "The Thief of Bagdad" (1924). 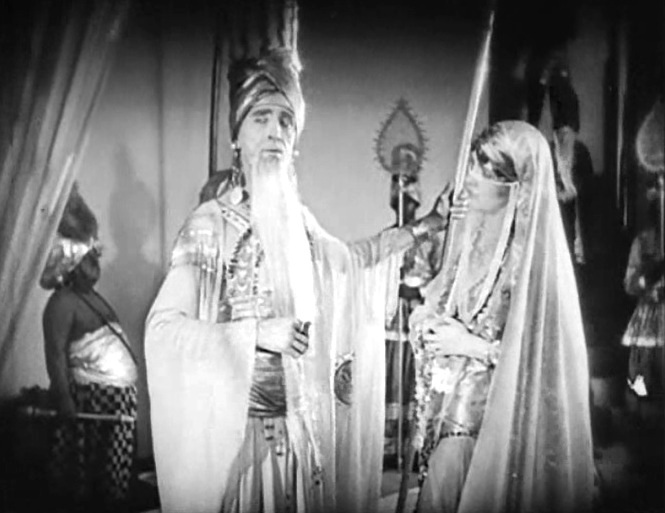 Snitz Edwards announces the arrival of "prince" Douglas Fairbanks in "The Thief of Bagdad" (1924). 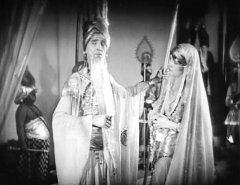 Julanne Johnston meets Douglas Fairbanks in "The Thief of Bagdad" (1924). Brandon Hurst listens to Julanne Johnston in "The Thief of Bagdad" (1924). 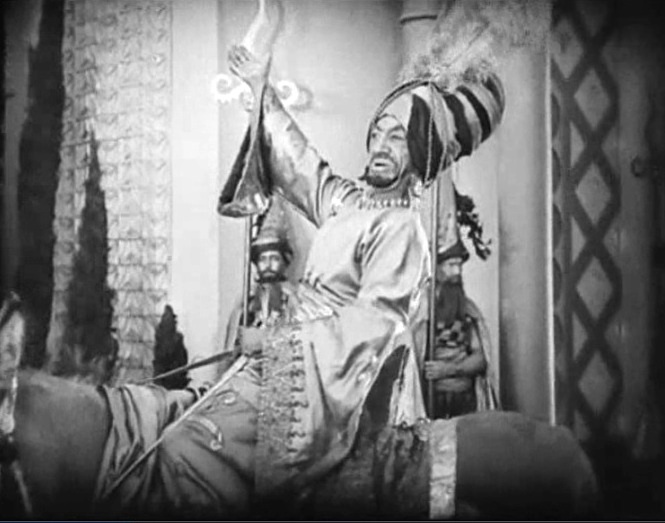 Snitz Edwards has some words of wisdom for Douglas Fairbanks in "The Thief of Bagdad" (1924). 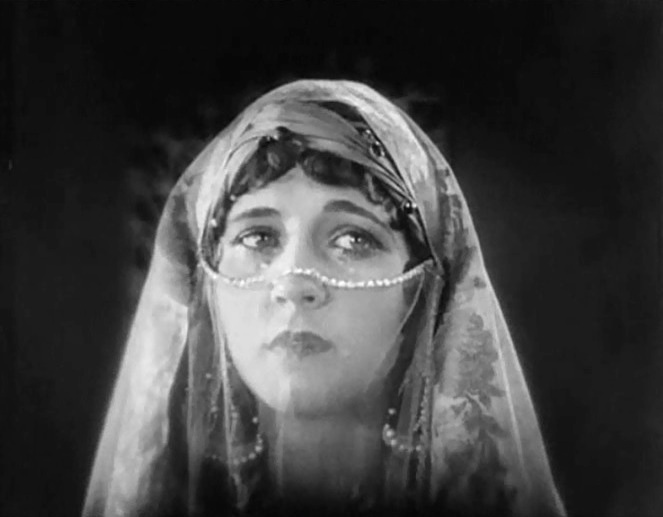 Julanne Johnston in "The Thief of Bagdad" (1924). 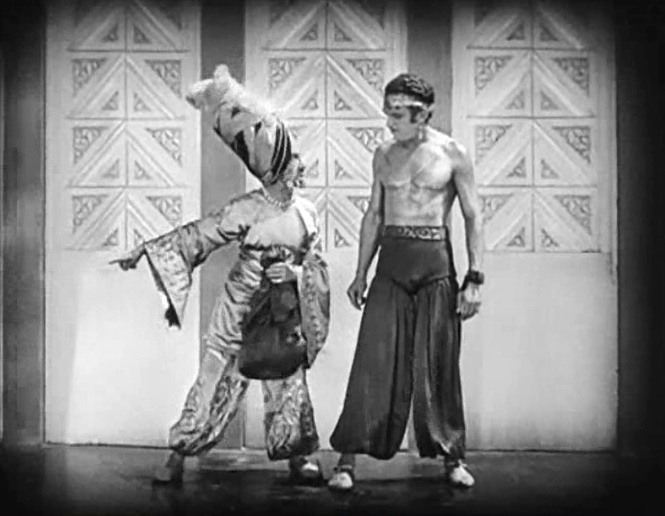 Anna May Wong hatches a winning escape strategy for Sojin Kamiyama in "The Thief of Bagdad" (1924).